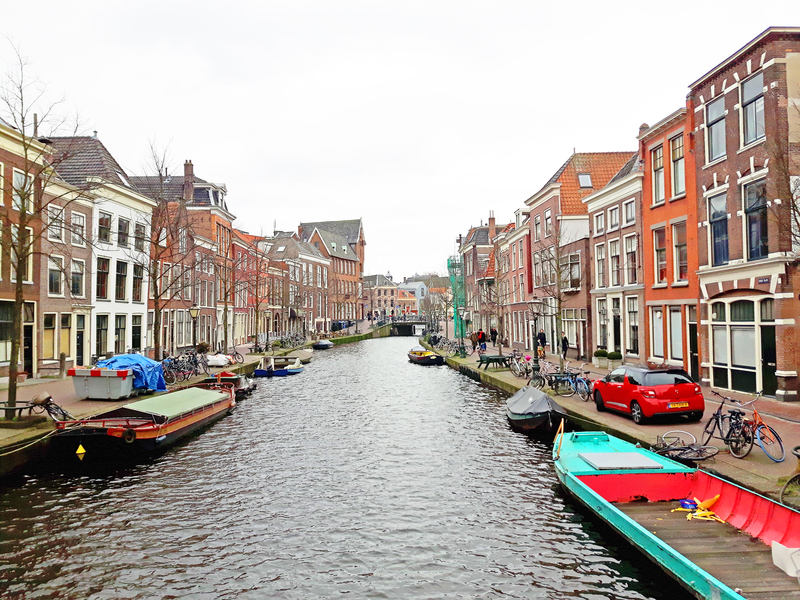 Home to The Netherlands’ oldest University, which dates back to 1575, Leiden is a quaint little city nestled in the Southern region of Holland and was the birthplace of the famous artist, Rembrandt. Leiden boasts many small and beautiful canals and bridges to stroll along and is approximately 30 minutes away by train from Amsterdam, which makes it a great place for a day trip, or you could stay a full day and night as I did and explore the city at a slower pace and enjoy the lack of crowds as you wander the streets. Most tourists stay in Leiden because it’s extremely close to Lisse, where all the famous tulip fields bloom bright with a myriad of colours come springtime. The Netherlands was having some unseasonably cold weather while I was there, so sadly, the fields weren’t ready during the time of my travels. 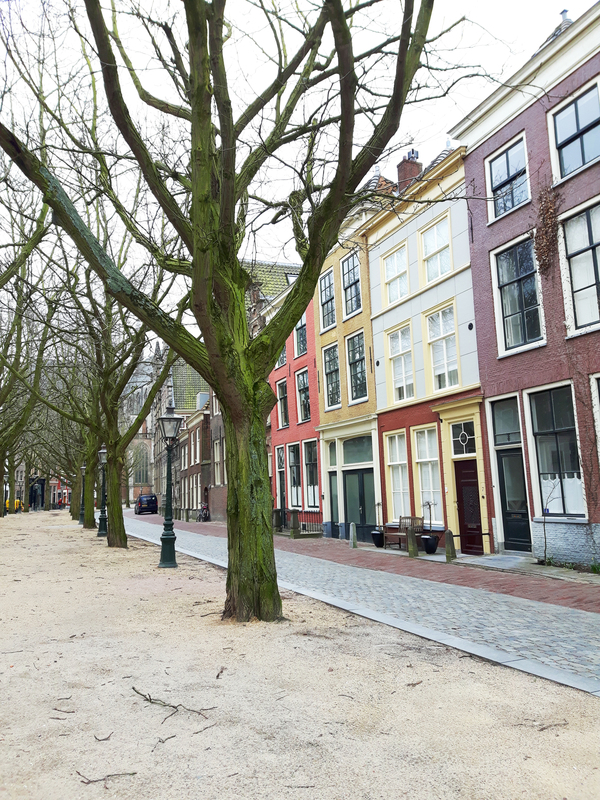 When I arrived in Leiden the weather was less than pretty…it was downright hideous. The rain was pouring, the wind was howling and as for my umbrella, well let’s just say we didn’t have a good relationship during this visit. 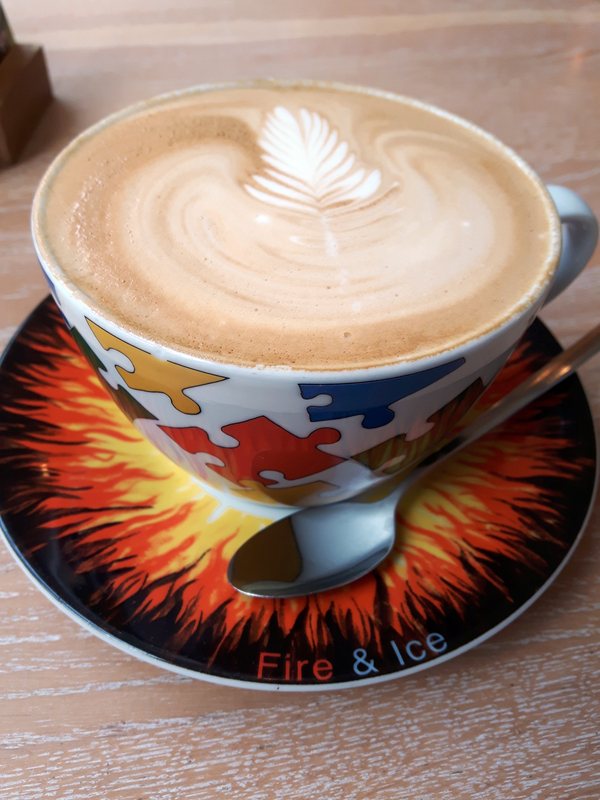 If you’ve been reading my blog for awhile now, you know that I don’t let some rain slow me down (unless I have a migraine, but you can read more about that here) and keep me from enjoying my travels. Once I was checked into my hotel and settled in, I grabbed a city map and began my walk into town. 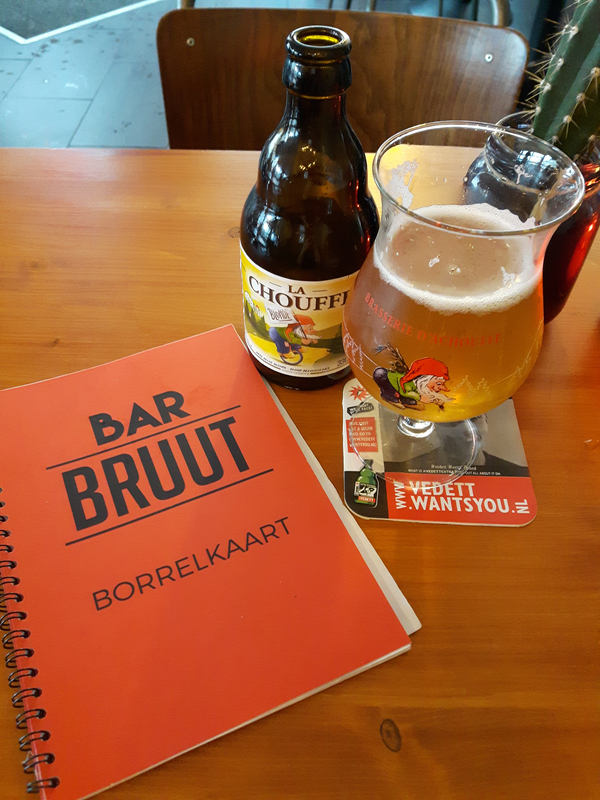 The rain was relentless, so I ducked into a restaurant called Bar Bruut and ordered up some Thai pumpkin soup and a beer and watched the locals and university students run around the street and seek shelter from the rain and wind. 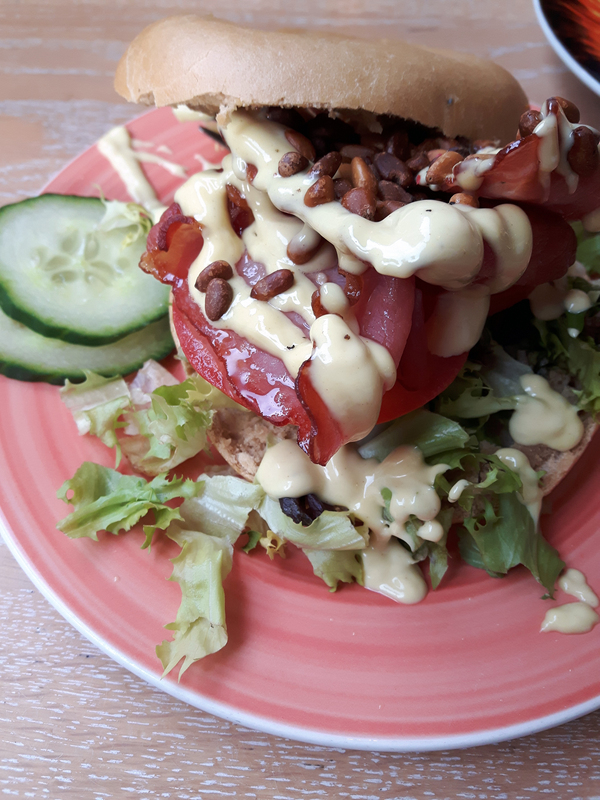 The majority of my daylight hours in Leiden was spent dodging the rain and wind as well and basically just bar, restaurant and café hopping my way around the city while wandering the streets. The winds were gusting so fast and hard, that it almost made it impossible to hold an umbrella all while trying to snap some photos. It was quite comical after awhile though thinking about how I must’ve looked struggling in the winds. I ended up retreating back to my hotel to wait out the rain for a bit, relax and have a nap before heading out to dinner at the City Hall Italian Bar & Bistro. This place was delicious. 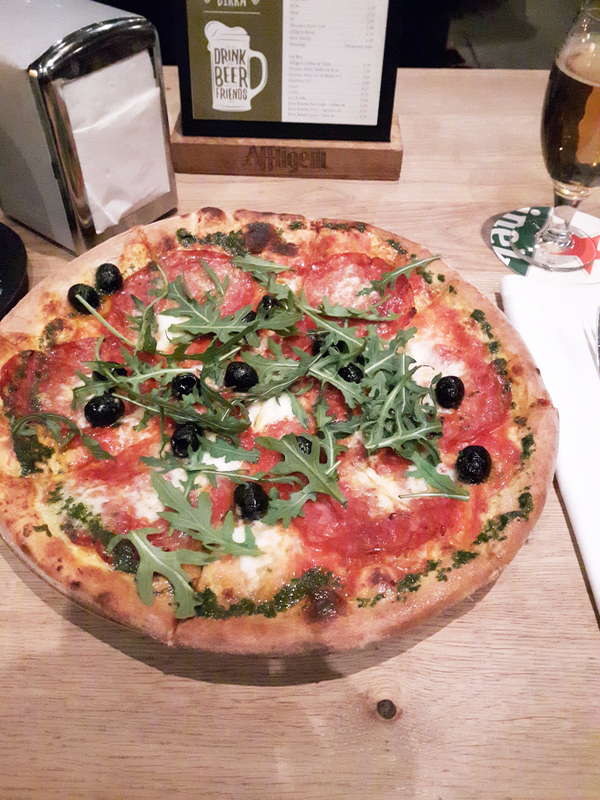 The pizza was phenomenal and the restaurant itself was hip and cozy and packed with people. Definitely what I needed after battling the elements all day long. 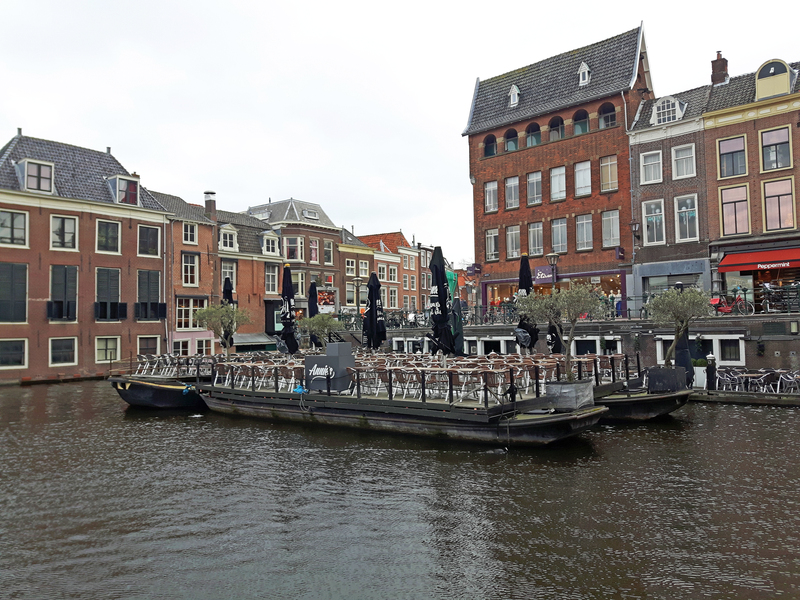 I only had a day to explore Leiden, so I’ll definitely need to make my way there again one day when the weather is nicer to fully enjoy what the city and surrounding areas have to offer. 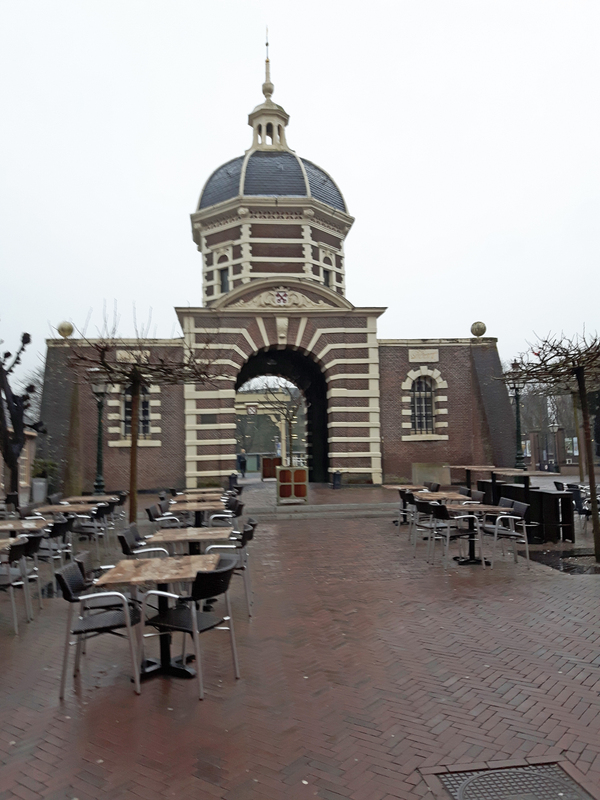 Here is a short (rainy day) list of things to do and see while staying in Leiden. Don’t just think that Amsterdam is the only city with an impressive canal system. Leiden is full of canals with picturesque bridges and calm waterways. In the summer months, rent a kayak, a canoe, or take a canal boat tour to see the city from a different perspective. 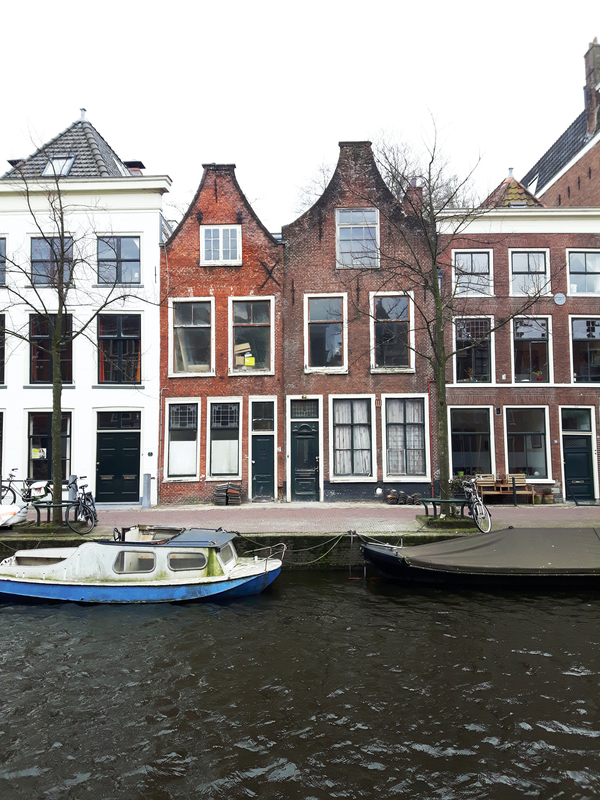 The canal system in Leiden was built into the city plans as early as the 17th century and played an integral part of the lives of the folks that lived there. After Amsterdam, Leiden boasts the most canals, bridges and moats with an impressive 28 kilometres of waterways and 88 bridges. If you really want to do as the locals do, rent an electric boat and pull up to one of the many floating restaurant docks for a bite to eat. I found that the best way to explore the canals was by foot, but don’t stand too close to the edge. It was so windy while I was there that at one point I heard a loud SPLASH behind me while taking photos. It turns out that two bikes got tossed into the canal and I just watched helplessly as they sunk to the bottom like boat anchors. Whoops! Should’ve locked your bikes up, I guess!? 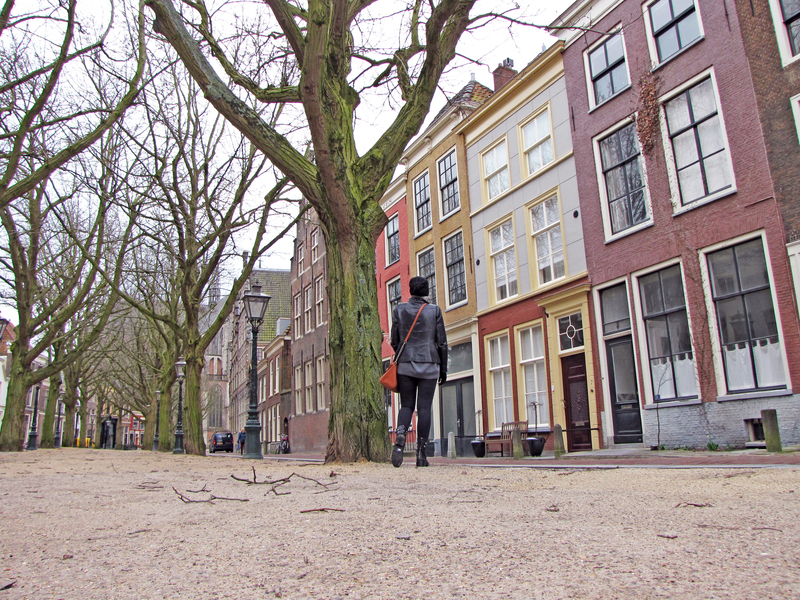 The Hooglandse Kerkgracht is one place I’m happy I stumbled upon while wandering around Leiden. 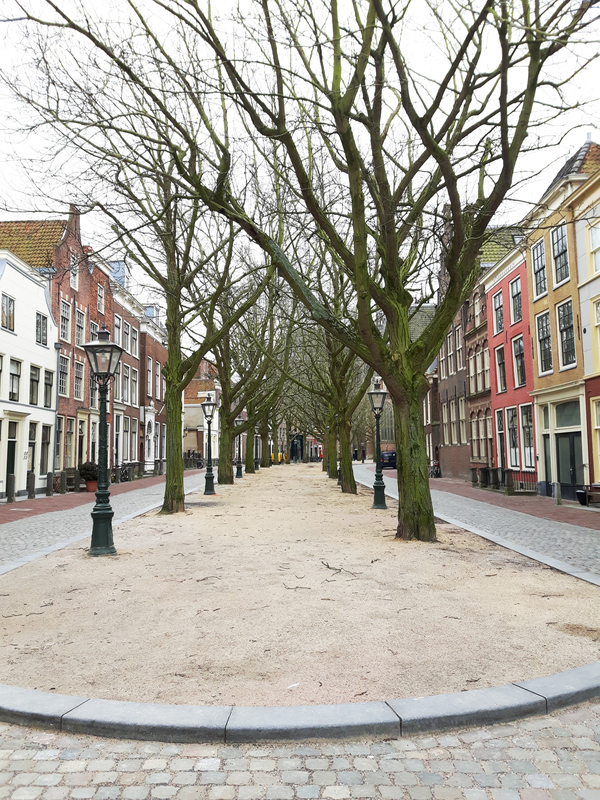 This gorgeous tree lined street was once a canal centuries ago and is now one of, if not the prettiest street in the whole city. Even in March, the bare trees made the parkette area look magical. I can only imagine what it would look like during the autumn season with colourful leaves hanging over the street like a beautiful vibrant canopy. 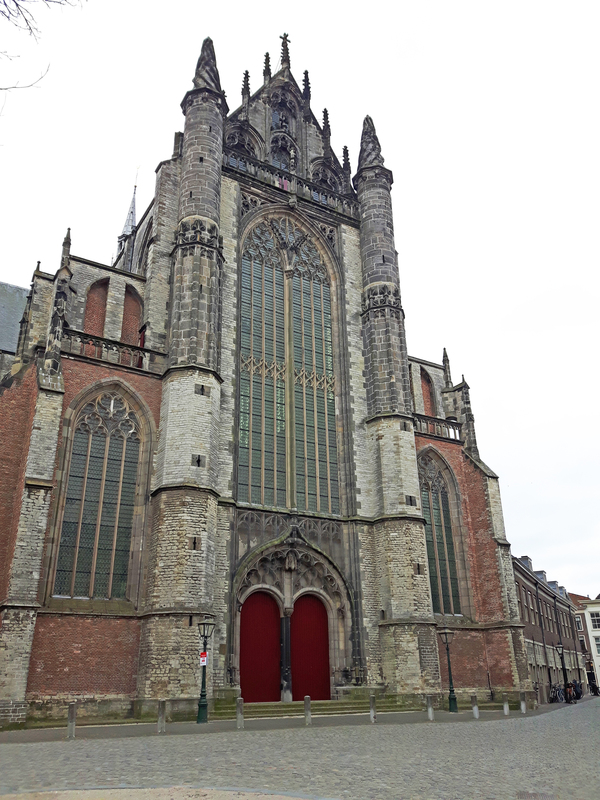 Hooglandse Kerkgracht weaves around to the massive Gothic HooglandseKerk, which is a 15th century church that is so large, it’ll stop you dead in your tracks to glance up at it. Definitely grab a snack and walk around this atmospheric area of the city centre. Out of all 88 bridges that Leiden has, I have to say that the Kerkbrug (Church Bridge) was one of my favourites. With the Oude Rijn (Old Rhine) canal sitting beneath the bridge in one of the oldest parts of Leiden, you’ll instantly feel transported back in time. The bridge is a double cast iron drawbridge and is said to have been built in 1867. As you walk over the bridge and over the Oude Rijn, you’re greeted with old warehouses that line the canal on one side and the beautiful Hooglandse Kerkgracht on the other side, which eventually leads you to the Hooglandsekerk. 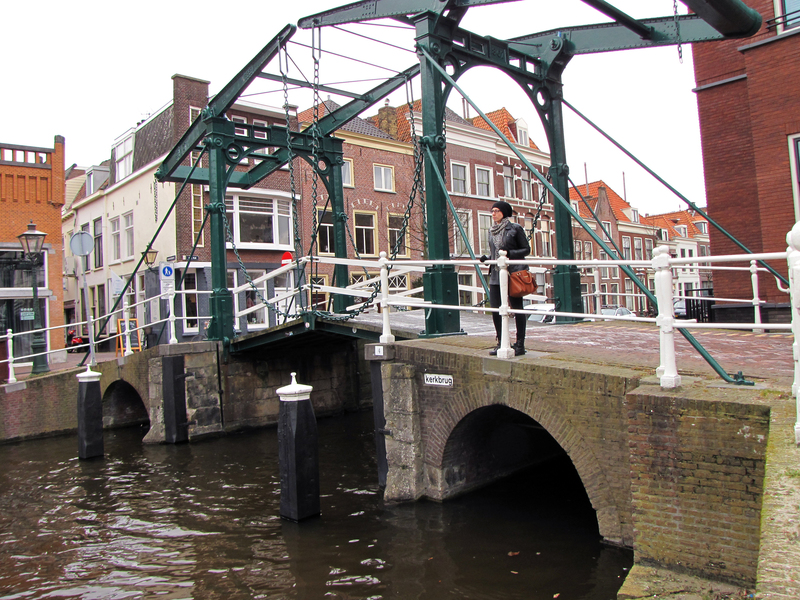 The bridge is in a visually appealing part of Leiden and has been named a National monument and shouldn’t be missed. Put down the map and just wander. I always make this suggestion to fellow travellers because the only way to truly get to know the bones of a city, is to get out there and explore. You never know what you’ll find. 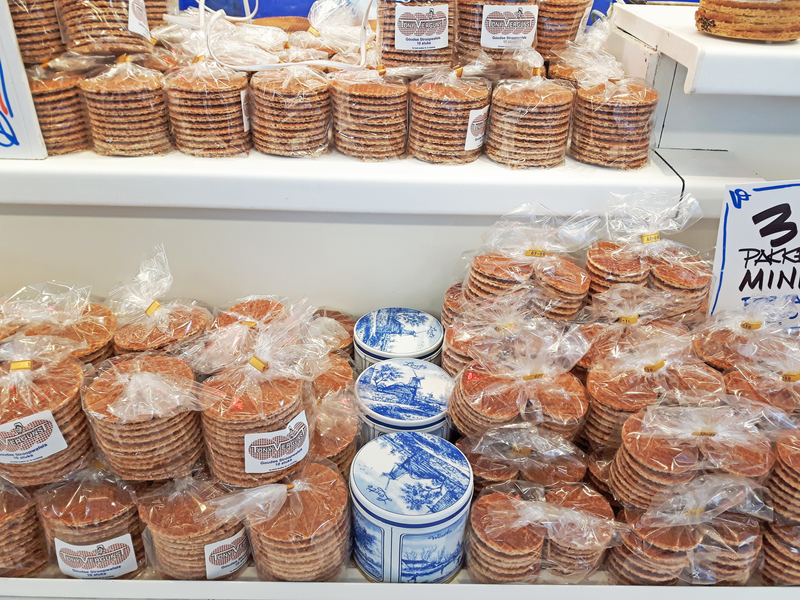 A cute restaurant, a stand selling stroopwafels, funky architecture, a pretty lane-way, a quirky clothing store, or maybe you’ll come across an artisan chocolate shop like I did. 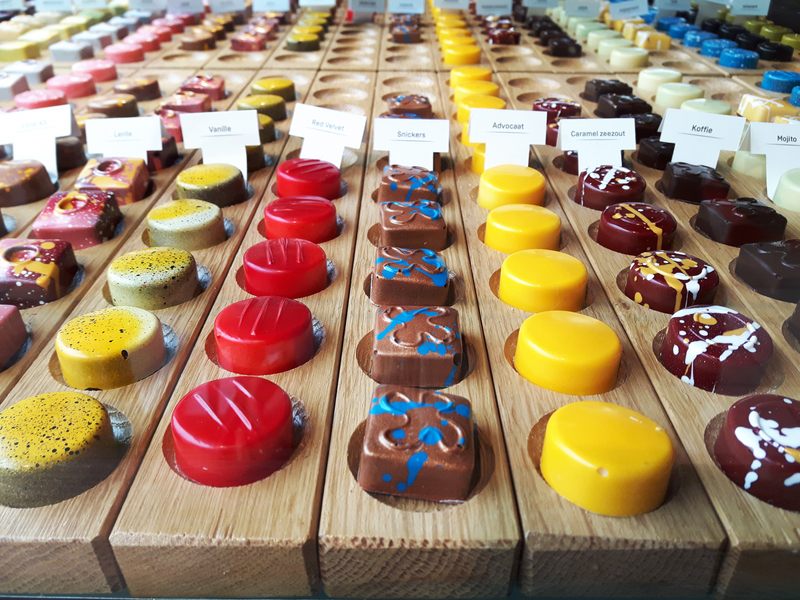 The chocolates at IJscafé Danice Leiden Centrum were like little glass works of art. They were beautifully handcrafted and almost too pretty to eat. What I’m trying to get at is that I wouldn’t have found this place if it wasn’t for me just walking aimlessly around town and just going with the flow. 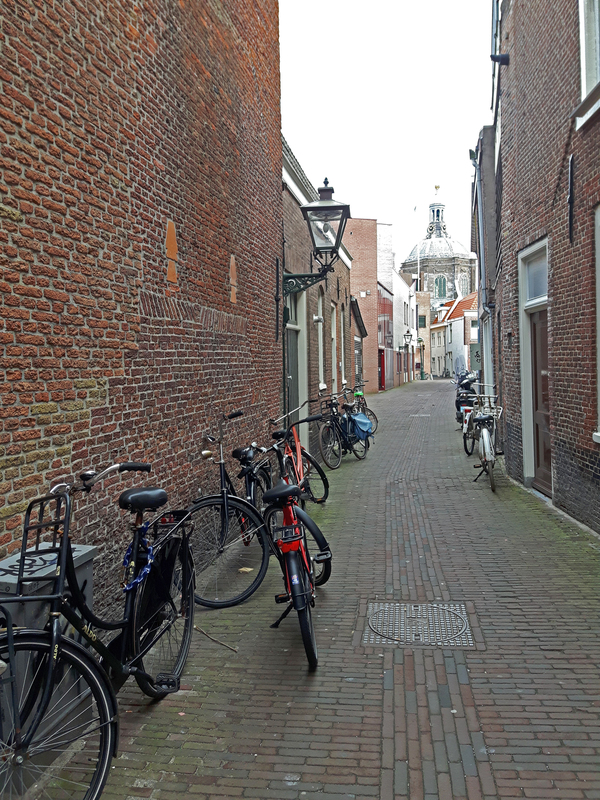 There are many other interesting and educational things to do in Leiden…it is a university city after-all. 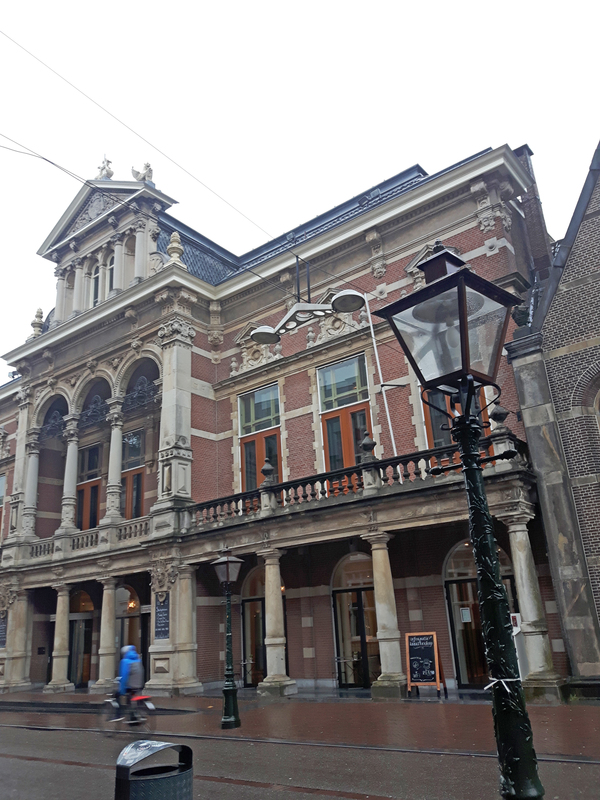 😉 A great rainy day activity you could do is go on a museum crawl as Leiden is jam packed with different museums that suit any traveller’s interests. Some favourite museums of visitors to Leiden include; The National History Museum, The Corpus Museum and the National Museum of Antiquities (Rijksmuseum van Oudheden). If you’re a flower lover, head to the Hortus Botanicus Botanical Gardens. They have the the largest orchid collection in the world and boast many greenhouses that house an array of tropical plants from all over the globe. 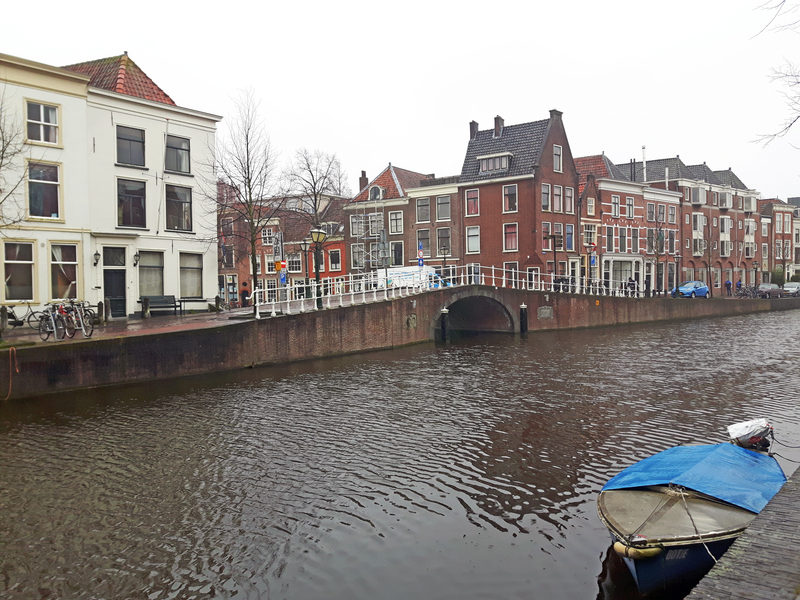 My time in Leiden was short and sweet, albeit the constant rain the first half of my visit. 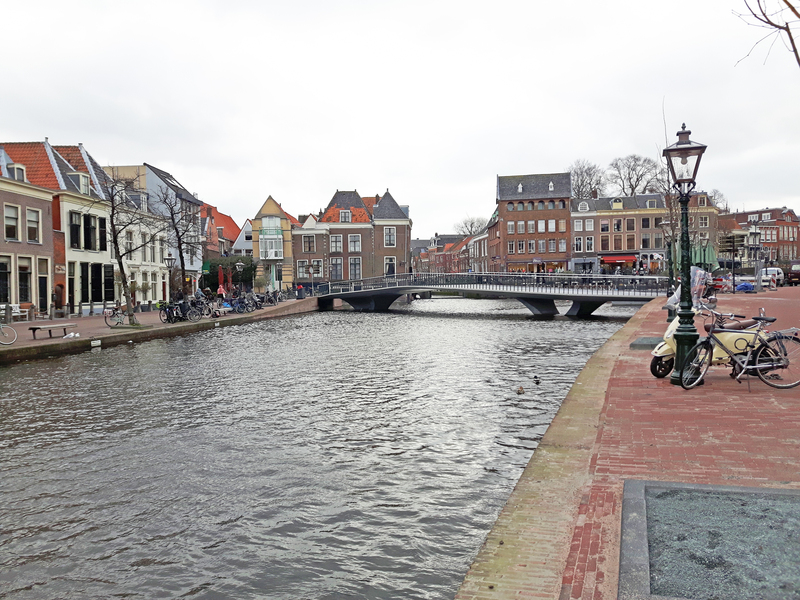 Leiden has a lot to offer travellers and locals and taking the time to fully enjoy the city is definitely recommended. 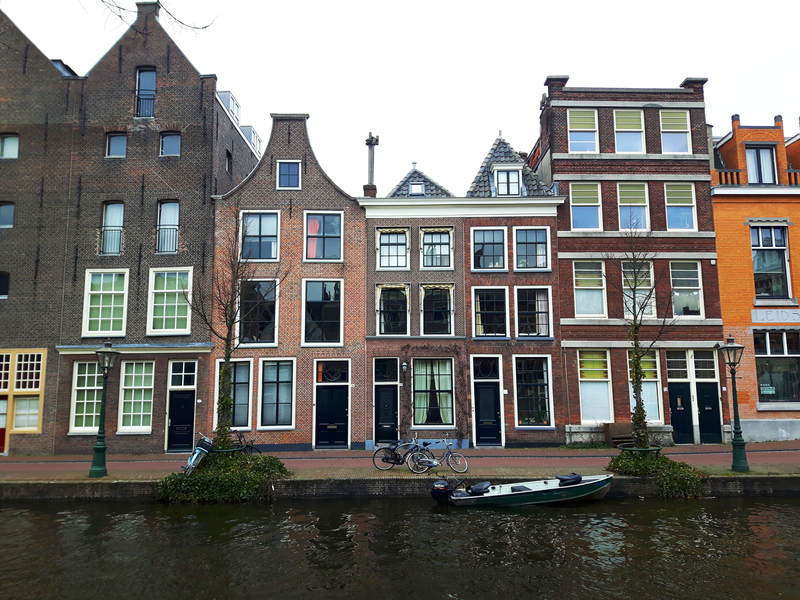 I’ll have to make a visit back to this great city when the weather is a bit better and more cooperative, so I can rent a bike and pedal my way to some of the colourful tulip fields.